Just four weeks into the fall television season, the cancellations have started to swarm in. Show after show, such as Selfie and Bad Judge, have fallen to the network guillotine that is poor ratings. But, there is hope yet. Several new shows, such as How to Get Away with Murder, are beating the odds and renewing for next season. Trying to choose which shows to get hooked on and which shows to give up on can be tricky, so the Technique is here to tell you what to watch and what to watch out for, for the rest of the fall 2014 season. This year, many critics were shocked at how long it took for networks to bite the bullet and start cancelling shows. Some blamed DVR and Hulu skewing with ratings and causing networks to feel uncertain about which were fan favorites. Others claimed the major networks, including ABC, NBC and HBO, did not have any good midseason replacements, meaning networks feared ratings would only become worse as shows were cancelled. Finally at the end of October, weeks after the bulk of unsuccessful shows had been cancelled in previous years, ABC cancelled the first show of the season, Manhattan Love Story. The typical boy-meets-girl-in-New-York-City story failed to engage viewers, perhaps because the storyline was poorly written and reminiscent of Friends fanfiction. Perhaps it failed because we were all too exhausted from Ted Moseby’s character un-development to deal with anything even slightly similar. Either way, Manhattan Love Story’s cancellation began a series of unfortunate events for television writers and actors. In the following week, NBC cancelled both Bad Judge and A to Z. Bad Judge told the story of Judge Rebecca Wright (Kate Walsh, Grey’s Anatomy), a reckless, party loving judge who, the show hints, will be tamed by a young boy whose parents she put behind bars. As heartwarming as the plot may seem, the shows poor ratings proves what many Shonda Rhimes fans thought impossible, that Kate Walsh can, in fact, do wrong. In November, both ABC’s Selfie and Fox’s Utopia were also cancelled. Selfie had the lowest ratings of any show this Fall, just 4.7 million viewers including DVR playbacks. This rom-com sitcom followed the life of Eliza Dooley (Karen Gillan, Doctor Who) as she attempted to achieve fame through social media. The show was based on a George Bernard Shaw play, Pygmalion, which also inspired My Fair Lady. Though to say Selfie is on the same level as My Fair Lady is like saying Paris Hilton is equivalent to Paris, France — it’s just not true. Utopia was a hysterically terrible reality TV show that followed 15 people, or “pioneers,” as they attempted to create a new society. Originally, the pioneers were meant to be filmed in an isolated society 24 hours a day for an entire year. The social experiment lasted less than two months, which to the credit of the pioneers, is exponentially longer than I lasted just watching the show. The best way to sum up the quality of the show, however, is to note that it will be replaced by re-runs of Master Chef Junior. Don’t despair yet! There is some good news in the land of television. 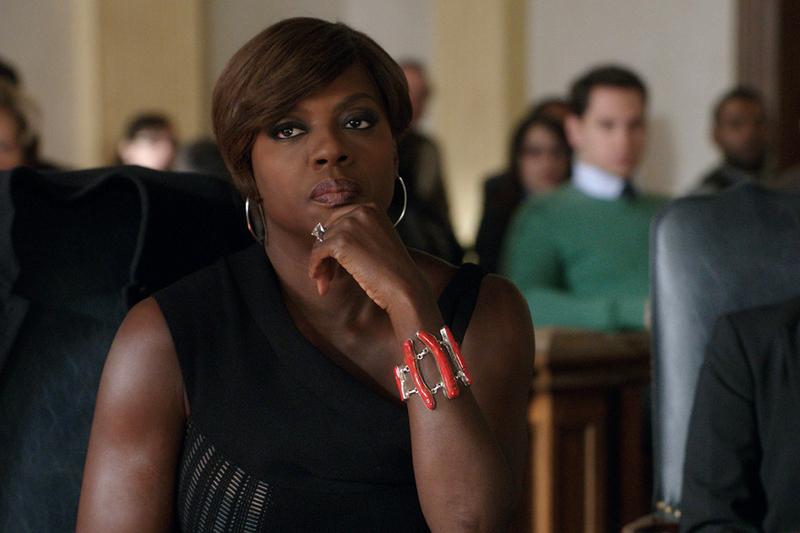 In true Shonda Rhimes style, How to Get Away With Murder is an instantly gripping drama. Reminiscent of a dark Legally Blonde, the legal drama follows law professor Annalise Keating (Viola Davis, The Help) as she gets entangled in a wildly complicated murder plot. The only downside to How to Get Away with Murder, though, is the murder probably won’t be solved for seasons to come. Also new this fall is The Mysteries of Laura, which admittedly at first seems like just another police drama. But, what this show lacks in a creative storyline, it more than makes up for in its cast. Debra Messing (Will and Grace) stars as Detective Laura Diamond, a NYPD homicide detective struggling to balance her fast paced career, rambunctious twin boys and soon to be ex-husband/boss. The ratings prove that The Mysteries of Laura is a show to watch. In fact, it is NBC’s best rated premiere in over a year. Perhaps the best new show on television right now, though, is Madame Secretary. This political drama is definitely more reminiscent of The West Wing than House of Cards, but it still manages to capture the home life of Secretary of State Elizabeth McCord (Tea Leoni, Jurassic Park III). This balance helps Madame Secretary stand out as a more believable, but still interesting, version of Scandal. Overall, the first few weeks of television were, admittedly, poor quality. Boring, overdone or badly written shows were filling up airtime and there seemed to be no hope in sight. Unlike other years, networks made few mistakes in the shows they cancelled (ahem, Freaks and Geeks). The shows left on the air today are certainly more intriguing, more believable and down right more enjoyable to watch. Anyone who gives the remaining shows a chance will surely be able to find a new favorite.